Rissa’s money was burning a hole in her pocket that day. We’ve never really done an allowance, but as we traveled as a family for missions, sometimes churches would give the kids a special donation, so she had special spending money. Rather than listen for days and days of begging to buy something, anything, we took a trip to the toy store. She could buy anything she wanted with the stipulation that it had to be small enough to fit in the tiny motor home we were living in as we traveled. For what seemed like forever, we wandered the aisles of the store. And then she saw them… As she walked down the aisle filled with Littlest Pet Shop toys, her eyes flicked back and forth as she tried to decide which ones to get. After all they would be perfect for a small space… I don’t remember exactly what she bought that day, but it started a 9-year collection of all things “Littlest Pet Shop”. 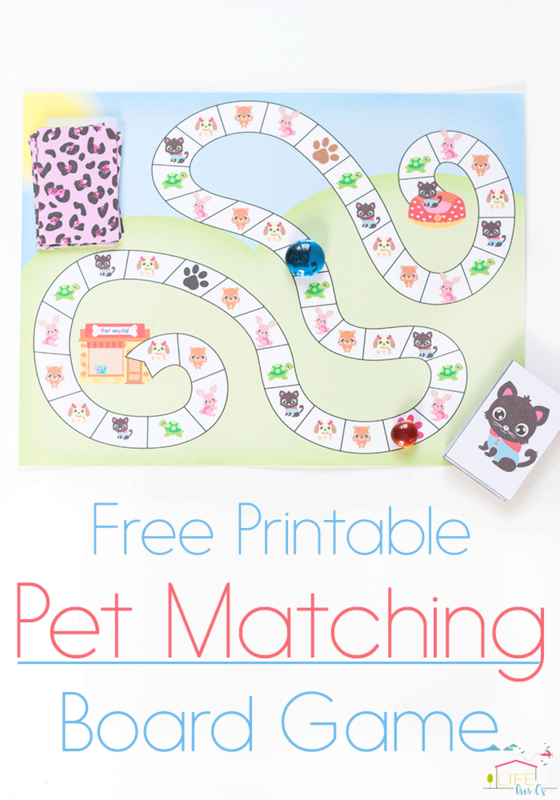 This Little Pet Matching Board game is perfect for kids who love Littlest Pet shop and was perfect for Rissa’s littlest sister as she has started her love for the tiny animals. 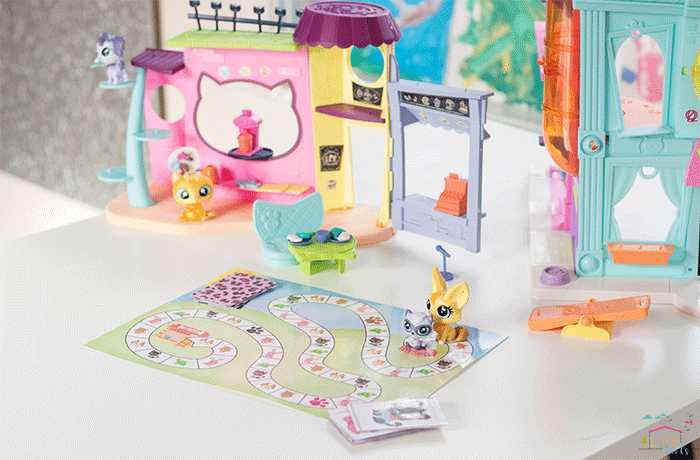 She is having a blast playing with this Pet Matching Board Game with all of her favorite Littlest Pet Shop characters. 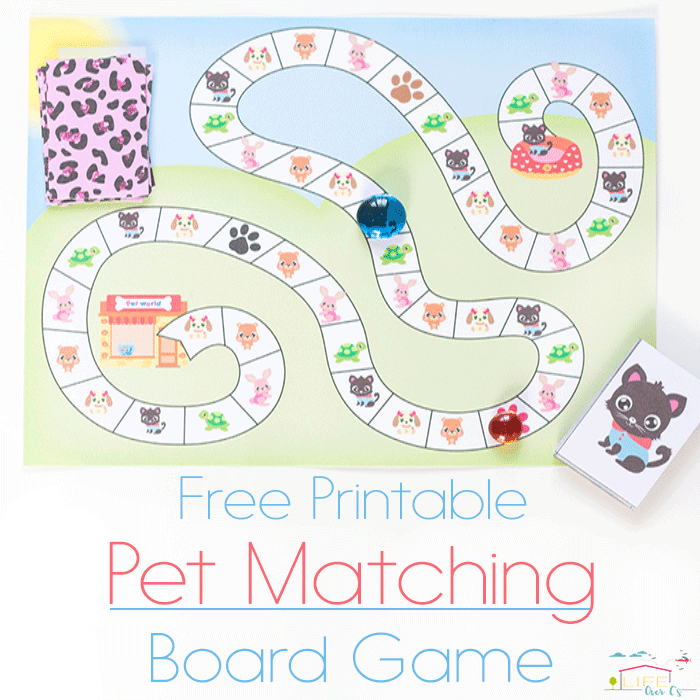 Place your pet on the “Start” of the board game. Place all the cards upside-down on the “Card Draw Pile”. The player will draw a card from the pile and move her pet to the next matching picture. 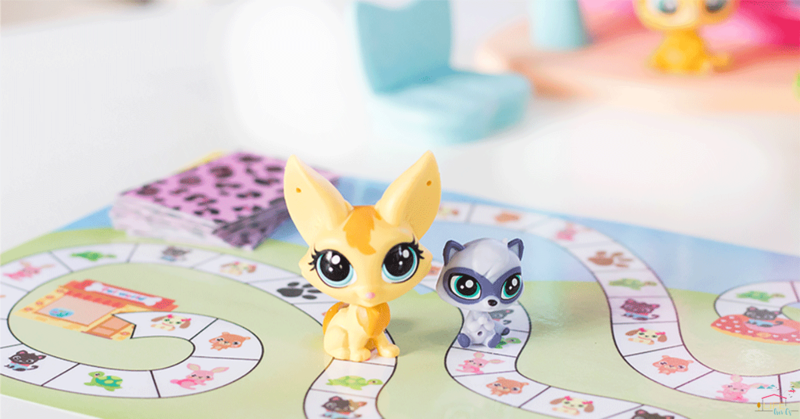 If a “Paw Print” card is drawn the player will head to the matching paw print space, even if it is behind her. To win, a player must draw a “Black Cat” card to move to the final space. 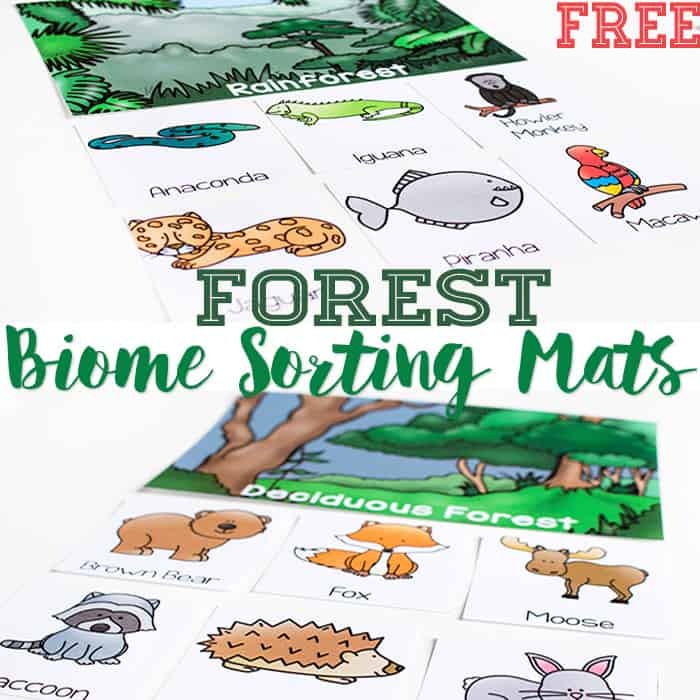 More animal games you’ll love! 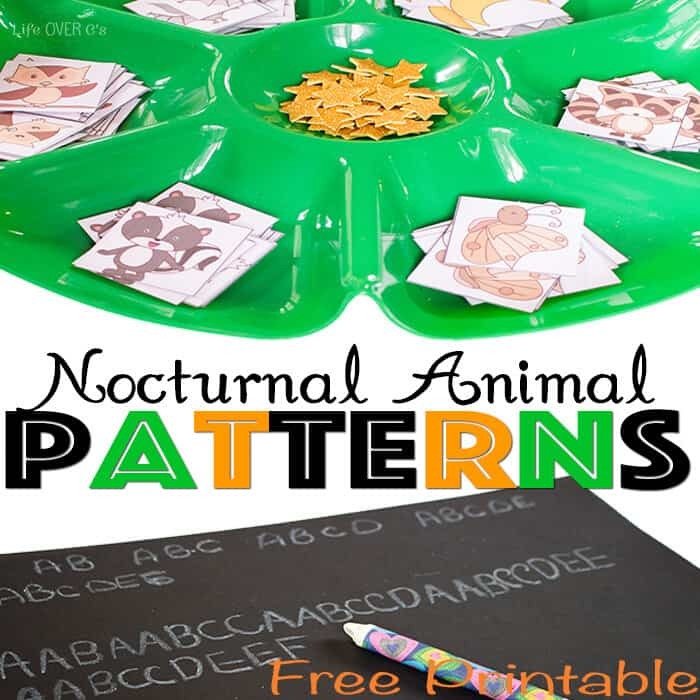 « Ocean Theme Activities and Toys Kids Will Love! 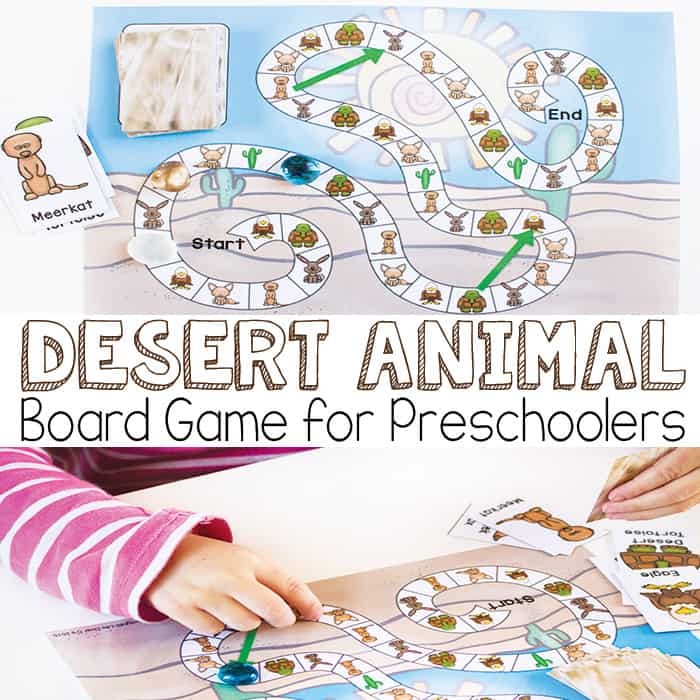 A cute little game that I’m sure my little friend will really enjoy when visiting in spring. There’s time to download a game or two more from your site. Thanks a lot and keep on with the good work.